Meleis A. “Women and Health: the Key for Sustainable Development,” Jhpiego, University of Pennsylvania MEDLIFE Seminar, Philadelphia, PA. April 12, 2017. Meleis A. “Women and Health: the Key for Sustainable Development,” Jhpiego, UNICEF and UN Commission on the Status of Women, Empowering Female Health Workers, New York, NY. March 16, 2017. Langer A, Meleis A, Atun R. “Women and Health: The Key to Sustainable Development,” Commission on Women and Health Symposium, Harvard Chan Mumbai Center. February 17, 2017. Langer A. “Women and health and the environmental transition,” Symposium on Health and the Environment in Emerging Markets, Oxford, UK. January 12-15, 2017. Meleis A. “Uncovering Voices, Empowering Women: The Key to Sustainable Development,” Aga Khan University International Conference for Nurses and Midwives, Karachi. November 18, 2016. Meleis A and Langer A. “Gender equality and empowerment: the key to the health of women and societies,” ICOWHI’s 21st Biennial Congress: Scale and Sustainability: Moving Women’s Health Forward, Baltimore, MD. November 7, 2016. Langer A. “Women and Health,” UICC World Cancer Congress, Paris, France. October 31 – November 2, 2016. Langer A. “Positioning women’s nutrition at the center of sustainable development,” Micronutrient Forum Global Conference, Cancun, Mexico. October 24-25, 2016. Meleis A. “Uncovering Voices, Empowering Women: The Key to Sustainable Development,” Universidad Peruana Cayetano Heredia, Lima, Peru. October 13, 2016. Meleis A. “Uncovering Voices, Empowering Women: The Key to Sustainable Development,” XV Pan-American Network of Nursing and Midwifery Collaborating Centres Colloquium, Mexico City. October 6, 2016. Langer A. “Women’s Cancers in the Americas. Strategies for Synergy: The framework for integration,” University of Miami, Florida. October 5, 2016. Meleis A. “Uncovering Voices, Empowering Women: The Key to Sustainable Development,” University of Washington, Seattle. May 11, 2016. Find a video of the presentation here. Meleis A, Langer A, Aran M, Teitelman A, Villarruel A, Clayton JA, Harrit M, Cassiani S, Driscoll D, and Thibault G. “Women and Health: The Key to Sustainable Development,” Center for Global Women’s Health at the University of Pennsylvania Nursing School, Philadelphia, PA. November 18, 2015. Meleis A. “Women and Health: The Key to Sustainable Development,” Inauguration Lecture of the Birth Center for the Research Institute of Nursing Care for People and Community at Hyogo Prefectural Amagasaki General Medical Center, October 31, 2015. Langer A, Knaul F, Frenk J, Bachas L, Peragallo N, Prilleltensky I, and Blofield M. “Lancet Women and Health Commission Report: Presentation and Panel Discussion,” University of Miami Miller School of Medicine, Miami, FL. October 1-2, 2015. Langer A, Knaul F, Medina Mora ME, and López Barajas P. “Mujer y Salud: la clave para el desarrollo sostenible,” Mexican Health Foundation, Mexico City, Mexico. August 6, 2015. Horton R, Langer A, Aran M, Knaul F, Frenk J, and Campbell O. 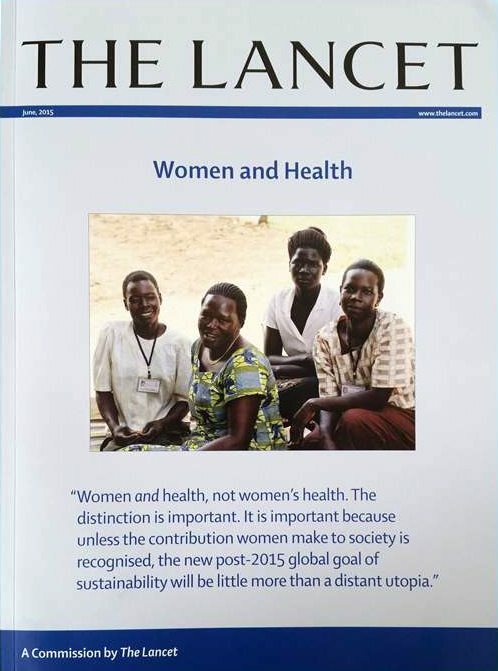 “Women and Health London Report Launch, ”London School of Hygiene and Tropical Medicine, London, Great Britain. June 26, 2015. A Storify summarizing the London event can be found here. Langer A, Meleis A, Bonita R, Knaul F, Claeson M, Klugman J, Davies J, Johnson PA, and Frenk J. “Women and Health Official Report Launch,” Harvard T. H. Chan School of Public Health, Boston, MA. June 5, 2015. A Storify summarizing the Boston event can be found here. The recorded webcast is available on the Report page. The Commission on Women and Health publication is now available!